Let’s cut to the chase – if your website were an employee you would have fired it long ago! You’ve invested time, money, and effort into getting your website to perform better – and yet it’s still not pulling its own weight. Nothing can be more frustrating! Most entrepreneurs end up bouncing from idea to idea and strategy to strategy, hoping and praying something will work. Unfortunately, this approach is rarely successful. How is your website currently performing? Terribly? Okay, how terrible is it? What indicators are you using to determine how your website is performing? One of the simplest, yet most effective way is to use analytics. By utilizing a tool like Google Analytics you’ll be able to establish baseline measurements in all of the key areas. Warning: Most people assume the number of visitors to their website is the most important metric. This is a huge mistake. Traffic comes and traffic goes. Your most important metrics should be centered on conversions. What is considered a conversion? Great question! A conversion is when a visitor to your website takes a desired action that you want. Here are a few conversion metrics. Conversion tracking through Google Analytics can automatically keep track of conversions for you. You simply need to install a little code on each of your thank you pages – and Google will do the rest. Once you’ve identified the benchmarks you’re going to use, it’s now time to develop a strategy for your website. Sadly, the website strategy embraced by most entrepreneurs is what I refer to as the shotgun strategy. They take a few ideas, stick them together and then shoot them out hoping that at least one of them hits their target. Like a shotgun, this strategy can work, but only if your target is really close. If you’re going to succeed on the web, it’s important that your strategy has much more of a long-term perspective. -Do they blog? If so, how often? -Do they sell directly on their website? -Do they do guest blog posts on other sites? Now that you have your current benchmarks and you’ve established what you want your benchmarks to be in 12 months, it’s now time to develop the specific tactics you’ll use. Of the six steps required to radically transform your website in 12 months or less, this is the one most entrepreneurs get hung up on. Fortunately, turning your website’s annual goals into specific tactics doesn’t have to be difficult. Actually, it’s quite simple when you remember that all you need to do is reverse engineer each goal established in your website strategy. Let take a look at how easy developing tactics for your website can be – using this example. Pretty simple, right!? When developing your tactics, avoid the temptation to spend a lot of time trying to figure out which order you should do things in. That will come in the next step. Now with benchmarks, strategy and tactics in hand, it’s time to turn them into measurable quarterly goals. Your benchmarks tell you where you are. Your strategy tells you where you’re going. And your tactics provide you with the specifics steps required to get there. 1) Cluster your strategy and tactics to make it a little easier to organize them. Using the example above, you want to place everything relating to increasing opt-ins a cluster. And you’d do the same for each of the other major strategies you’re pursuing. 2) Organize each cluster in order of priority. If you’re working on the increase opt-ins cluster, then you want to make sure you start with the easiest tactic first. 4) Now look at all of your clusters and break them down into monthly goals. This will take a little time, but that’s okay, because this is the step that will ensure your success. Look across all of your clusters and rank them in priority order. For example, increasing traffic is priority number one, increasing opt-ins is priority number two, increasing sales is priority number three, etc. Now ask yourself, “Can I work on any of these clusters simultaneously?” The answer will likely be yes. However, if your answer is no, all you need to do is take your total number of clusters and divide by 12 and that will show you how long you have to work on each cluster. If you have 12 clusters, for example, then you will simply work on one cluster each month for the year. If you have six clusters, then you will work on each cluster for two months. You want to continue this process until you’ve gone out into the future 12 months. These goals will become your road map. It’s inevitable that life will get hectic at various points during the year and without solid quarterly and monthly goals it’s easy to get side-tracked. As we discussed in Step 1, your most important metrics should be centered on conversions. Step 5 will help keep you focused on the right metrics for your website. Pro Tip: Schedule an appointment with yourself for the same day and time each month to review and update your key metrics. 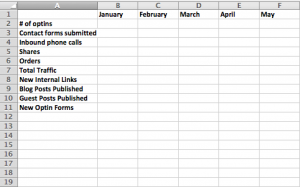 Don’t get discouraged if the metrics fall for a month or even a few months. Remember this is a long-term strategy and it will work if you stick with it. The final step in the process of radically improving your website’s performance in 12 months or less is to schedule time to complete a quarterly review. Once a quarter, schedule a half day (3 – 4 hours) to review your benchmarks and look at what percentage of your monthly goals you’ve been hitting. With this information in hand you’ll be able to decide if your goals for the next quarter need to altered. Of the six steps, this is the one most people try to skip – which is a HUGE mistake. Without spending the time to review your goals each quarter, you have no way of knowing whether or not your goals are leading you in the right direction. You won’t know if you need to get more intense with your goals or if you need to slack-off a bit. Simply put, don’t skip out on your website’s quarterly performance review. Don’t allow your website to continue down its path of poor performance. It’s time that you make it start carrying its own weight. 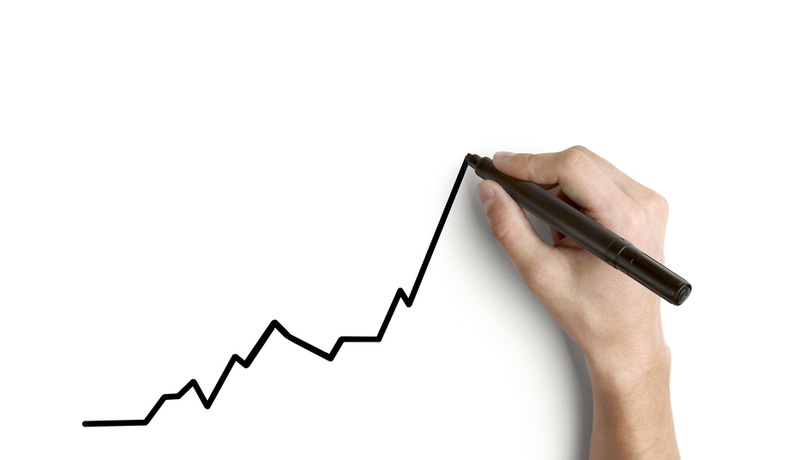 Follow these six simple steps and you’ll radically improve your website in 12 months or less. It’s amazing how much progress can be made once you shift your focus from meaningless data to benchmarks that drive conversions. What’s the biggest obstacle preventing your website from reaching its full potential?